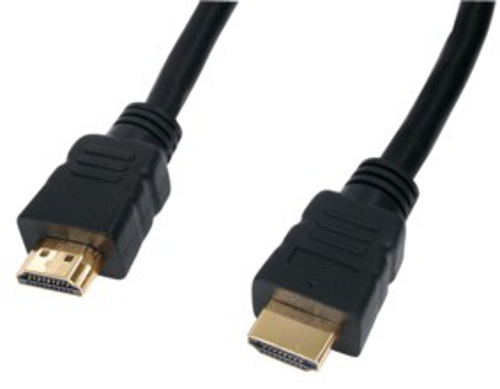 HDMI CABLE SHORT 0.5M GOLD PLATED HIGH SPEED WITH ETHERNET - Short HDMI Cables, Hdmi Cables Same Day Dispatch On Our Leads If You Order Before 2pm Weekdays. Our shortest HDMI lead. These HDMI cables may be cheap, but they are great quality for the price. We have HDMI cables from 50cm up to 20m including standard or very high end branded cables. See link for all our HDMi cables. Currently viewing: HDMI CABLE SHORT 0.5M GOLD PLATED HIGH SPEED WITH ETHERNET - Short HDMI Cables, Hdmi Cables Same Day Dispatch On Our Leads If You Order Before 2pm Weekdays.